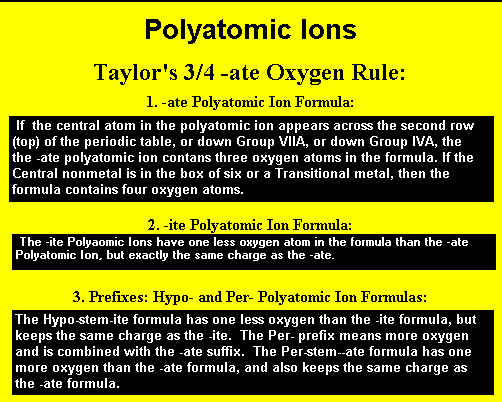 INSTRUCTIONS: You will be asked to write the correct formulas and charges of 10 polyatomic ions (from a random set of 65)(Guideline #3 System for Naming Compounds and Polyatomic Ions from a table) whose name appear below. First, Enter your name and your E-Mail address above. Then press the 'Start Quiz' button to begin. 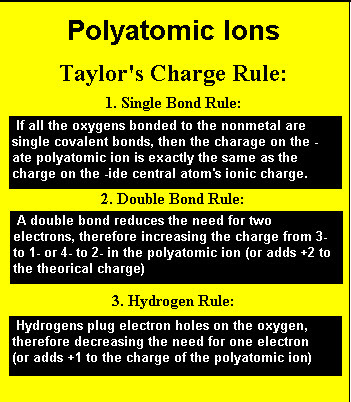 The formula and charge of the polyion will appear as an image. 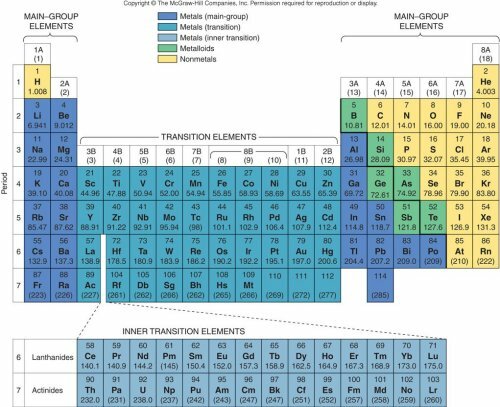 This is a homework for Chapter 3, Section 3.5 Practice, or one of 12 exercises required to complete Project #5 About Compounds when submitted with at least 8 out of 10 correct. 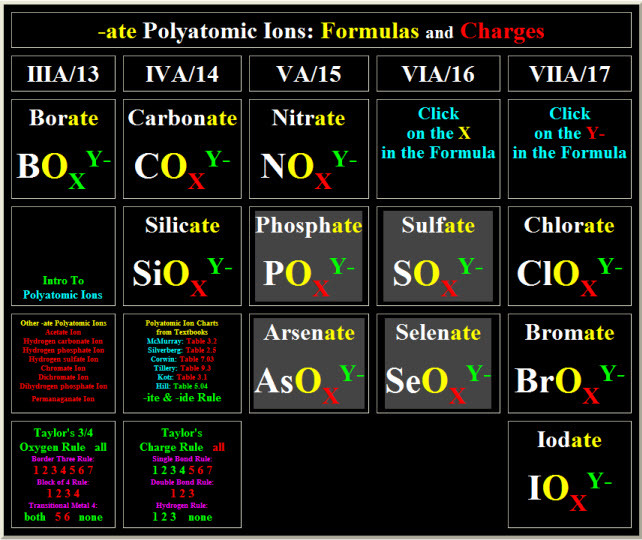 You should look up these ions from the required list of polyions available for this project. When you have completed the 10 items press the Submit Button at the bottom of the page. An email will be sent to Professor Taylor and you will also receive a copy with your scores and all incorrect responses. You may repeat this exercise as many times as you wish until you achieve a satisfactory score that completes Task #6 of Project #5.